If you are moving abroad, or perhaps your new home is not ready for occupation, store your furniture in Britannia Cestrian’s modern warehouse complex. If you are moving to or from Chester, Wirral, North Wales or the surrounding areas, our warehouse is conveniently located in Chester. The system is sensible, efficient and the proven way to keep all handling to the absolute minimum. Britannia Cestrian storage service provides the same exacting standards of protection and packing for your home and possessions as are offered in the home removal services. 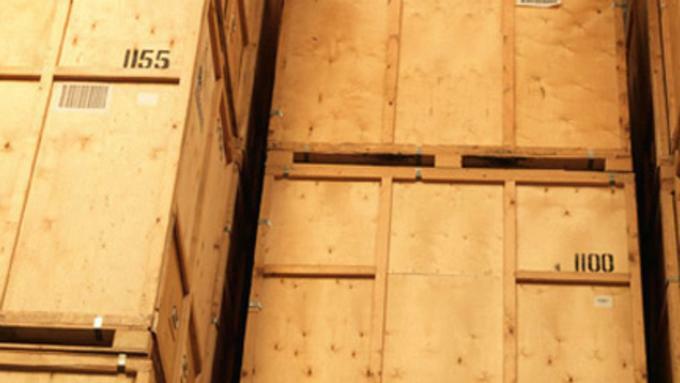 If agreed and access allows, your goods can then then be securely placed into specially designed storage containers which are already in position on the vehicles. A fully detailed security inventory of each container is drawn up and agreed at the time of loading. You receive your own copy of the inventory and the containers are sealed in your presence. They remain sealed, until the goods are re-delivered or required by you – and only on your written instruction. Upon the vehicles return to our warehouse, each container is taken off the vehicle using a fork lift truck and carefully placed in the storage area. Quite simply, your property is given the best protection and returned to you in the same condition as when it left you. The warehouse at Britannia Cestrian depot provides ample storage space which is fully monitored internally and externally by 24 hour closed circuit television. In addition to the cameras there is a complete secure perimeter fence and a sophisticated alarm system. Your property could not be better protected.